SUB SANDWICHES - IF THIS DOESN'T GET YOU HUNGRY....... DON'T KNOW WHAT WILL! This is our newest video. After watching this drop on by to satisfy your Submarina Sub craving! It is easy to prepare, serves as many as you want and there is little difference between making food for meat eaters and vegetarians. Throwing a party requires very thorough preparation. Even if you are paying attention to every little deatail there will be things that you'll overlook or miss. You can easily save some time by preparing sandwiches. There are as many different sandwich recipes as there are people, but there are a few main types that you should consider. For a sandwich platter you need to make simple sandwiches. Open face, or single sided sandwiches are the easiest to make. You can use pepperoni, cheese, avocado, butter spread and pepper or just about anything you happen to have at home. There is one thing you can't do with your sandwiches and that is use old bread. horizontally. They will not fall over because they support each other. There are many successful recipes online but there are always services to help you out. One of these catering services is Subway, another is Hemet's Submarina. To feed 10-12 people you may expect to pay about $40+ on assorted sandwiches. A giant 3 foot long sub that feeds about the same number of people can be had for the same amount. You can either spend $40 on a whole sandwich platter or ten bucks less on the materials and do everything for yourself. I much prefer the second option as it allows for more creativity and many more different types of sandwiches to pile on the plates. 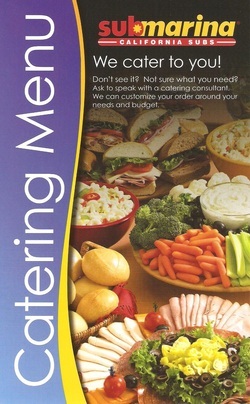 To read more about Sandwich Platters, Click Here! In recent conversations with restaurant marketing leadership, I heard mostly familiar themes when discussing their marketing strategies. There are those smaller concepts that have found some success with a "Name your own price" promotion and other unique efforts to drive sales that have received quite a bit of media attention. But the majority of restaurant people I spoke to were sticking with more traditional strategies, with the occasional "toe in the water" when it comes to attempting less tried-and-true methods of increasing market share. Most common among the marketing strategies some restaurant leadership shared with me is discounting or limited-time-only promotions. Jean Smoke, Director of Marketing for the 550%2B unit TacoTime concept, told me her concept has a "limited time addition to their World Famous line of Crisp Burritos, a Crisp Pork Burrito at a discounted price of $1.99." They've found this offering is bringing in their current Crisp Burrito fans as well as new customers for an exciting new item. Frank Day, Chairman and President of RockBottom Restaurant and Brewery, said his concept has "built traffic and created some excitement with consumers by running a variety of promotional specials, some supported by media but mostly promoted within the four walls of his restaurants". Marc Geman, President and CEO of Spicy Pickle, a 40%2B unit deli and sandwich concept, said his brand will be, "rolling out a Picklenomics menu that will offer a build your own section as well as half sandwiches with soup or salad, a drink and chips that will combine their high quality product with favorable pricing." Along similar lines of marketing by discounting, Pops for Champagne in Chicago, is offering a Low Fare Promotion. "From 3-7pm weekdays, guests receive 37% off any food item ordered. ", Tom Verhey, owner of the nation's longest running champagne bar shared with me. Dan Beem, President of Cold Stone Creamery, was pleased with the results his concept had when they brought their new ice cream cupcakes to market at an introductory price point. "The response was so great that our stores were hardly able to keep the cupcakes on the shelves and our sales spiked as a result." 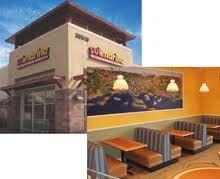 Paul Damico, President of the Tex-Mex concept, Moe's Southwest Grill, said the goal of their $4.99 Joey Jr. Bundle was two-fold. "First, we wanted to offer our guests a right-sized portion. Second, we wanted to give our guests a meal option under $5. This strategy was a success and we plan to continue expanding our menu in a similar fashion during these hard economic times." In response to Subway's $5 promotion, Jeff Warfield, Chairman, President, and CEO of Submarina, a California based deli concept, has rolled out a $5 value meal that includes 6 inch sub, soda and chips. "Our 6-inch sub has as much meat as a Subway 12-inch, and we use fresh-made bread. ", claimed Warfield. Fewer restaurant concepts had much to share with me in the way of marketing strategies beyond offering discount pricing and limited time promotions. One avenue some did touch on was improving their online presence. TacoTime recently revamped their website to offer more interactivity to their customer base. They have some online promotions coming soon, including a "look-alike" contest. They and Cold Stone Creamery are also looking into building their online presence through ever increasingly popular social marketing methods such as Facebook and Twitter. Josh Richman, CEO of Happi House, said, "Our most targeted strategy is the establishment of an email club for our guests. Each new address collected online or at the restaurant gets a free meal for joining, a free offer on their birthday, and monthly promotional messages." Happi House is able to track message views, printed redemptions, which offers are most successful, and who their most loyal members are. Other restaurant concepts are focusing on staying relevant to their customer base. For example, Submarina and Spicy Pickle both are marketing the healthy aspects of their menu offerings, not only the nutritional information, but the absence of enzyme/preservative/filler content in their ingredients. Pops for Champagne is appealing to the generosity of their guests with their Toast on Tuesday Promotion. Guests are encouraged to find something to celebrate and visit Pops to toast that with specially priced glasses of champagne. Pops will donate $1 from each glass to the Chicago Job Council, an organization that helps people living in poverty find career opportunities. According to Megan Winters, Marketing Manager of Port City Java of North Carolina, they are "making environmental, economic, and social differences through its Fairganic coffees." In response to the increasing receptivity to "green" efforts, Port City Java uses only organic beans cultivated in a way that has low environmental impact. While most restaurant concepts have made some type of marketing strategy adjustment in response to the market, there are a few I spoke with who feel they are positioned in such a way that they are simply going to continue to do what they currently do. Jeffery Bank, CEO of the New York based Alicart Restaurant Group, had this to say of one of their concepts, "Carmine's has been around for over 19 years and is the original Italian family style concept. It is extremely value driven...It is a perfect brand in this economy and that is why our sales are up, not down." In this case, "if it's not broken, don't fix it" seems to be working. While there are variations on the theme, there's no doubt that current conditions call for restaurant concepts to make sure their marketing strategies are effective and sustainable until the market improves. Brian Bruce, author of multiple articles published on many websites and several industry trade publications, has been cited in multiple news stories as an authority in Executive Restaurant Recruiting. He's an Executive Restaurant Recruiter with Premier Solutions in Oklahoma City and Blogger. He can be reached at 877-948-4001 email at bbruce@psokc.com, or on his blog at http://www.restaurantmanagerresources.blogspot.com/. Living as a vegetarian is not what is previously was. Thanks to medical research it has become public information that in fact vegetarians do live longer than those that consume meat products their entire lives. Why is this? Well, mostly due to the large amount of fat that meats and dairy products can contain, making it very easy to avoid high cholesterol and even a heart attack for vegetarians. Finding great recipes for a vegetarian lifestyle has never been easier thanks to the internet as well. Lunch choices seem to be the simplest, with vegetarian sandwich recipes being all over the web for free! To begin, making a vegetarian sandwich is not a boring one filled with lettuce and tomatoes only. No, now a vegetarian sandwich can be found almost anywhere you find a delicious submarine sandwich. There are many tasty vegetables that can be added in these sandwiches, such as cucumbers, tomatoes, lettuce, spinach, bell peppers, pickles, olives, cheese, etc. Grilled vegetable sandwiches are also making a mark in vegetarian dieting. Smoked peppers, eggplant and grilled portabella are all fantastic choices. You can combine any of your favorites such as mushrooms, onions, lettuce, cucumbers and olives on your vegetarian sandwiches. Many farmers will offer organic fruits and vegetables as well as their full lines of vegetarian alternative dairy products on the internet that you can purchase and have shipped fresh right to your door! You can also create a simple vegetarian sandwich and pair it up with a fruit salad or baked potato as well. It is imperative to ensure you are getting the right amount of calories in each day as when you being to consume a vegetarian diet, many cut their caloric intake by eliminating the meat products. This is wonderful for those in need of health makeover or to lose weight, but you will realize that you can eat much larger portion sizes of vegetarian foods than what you were allotted for calories and portion sizes eating meats. Soups, pretzels or vegetarian chips can be easily found along with your vegetarian sandwich in any local sub shop. Look on the menus, this can be the biggest mistake some make being a vegetarian. They browse quickly through a lunch menu and if nothing suits their appetite, they eat something they do not care for or not enough. Ask the wait staff about any alternatives for vegetarians for any lunch sandwiches that they can create just for you! In many cases they prepare several vegetarian choices each day that you can only find by asking! Search the web for hundreds of vegetarian recipes for all three meals and snack choices as well! submarine sandwich will be better. There are speeches for all occasions. They may be for graduations, weddings, funerals and more. The groom's wedding speech will be given to an audience of family and friends. The sub sandwiches will be for some of your buddies for half time during the football game. In this sense we have defined whom the recipient or audience is going to be. Size does matter and is important. The length of your speech and length of your submarine sandwich will make or break it regardless of everything else. Three to five minutes is often long enough to capture your audience's attention, give your message, entertain and be completed before everyone else wants you done. Depending upon the size of your buddies, their appetites and snacks, a foot long sub is probably better then a six inch. You want enough to eat, but not too much where you cannot enjoy the game and other munchies. The ingredients of your speech and sandwich need to be what everyone enjoys the most. Both need to be balanced with ingredients and condiments. A boring speech or sandwich with nothing but a huge slab of meat will not interest most people. To many condiments or off subject topics in a speech can also make either distasteful. Always remember who is going to hear and eat what you are making. Parents, grand parents and Aunt Martha enjoy off color topics as much as people who enjoy anchovies on sub sandwich. Finally, it is important how you present your creation. Serving a great sandwich on flimsy paper plates and no napkins is as enjoyable as someone who mumbles, doesn't use a microphone, is drunk or distractive when speaking. A great presentation will always improve the speech or sandwich you created. Follow this recipe and you can become a gourmet speech and sandwich maker. SUBMARINA HEMET - BEST SUBS UNDER THE SUN - SUBS MADE THE WAY YOU LOVE THEM! 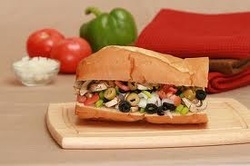 We, at Submarina, make your sub sandwiches with fresh, daily baked bread. We create your tasty sandwich right in front of you. You choose what meats, cheeses & veggies you want, etc. We do your sub sandwich the right way - the way you want it! The way you love it! Sign up for our coupons and specials - simply fill out the contact form in the top right of this blog & enjoy our fresh, delicious subs anytime. We do sub sandwiches right. A full sandwich menu available - eat in or to go. Catering for graduations, birthdays, sporting events, etc. - anything you want. The first two Submarina restaurants opened in San Diego County, California, Poway(1977) and Escondido two years later. Today, there are over 75 Submarina restaurants in five states. Submarina creates hearty sandwiches made from quality ingredients. The generous helpings of meat and cheese are sliced in front of the customer, ensuring freshness. All breads are made from scratch by a baker and delivered to the stores seven days a week. Submarina provides a varied tasty menu able to satisfy all tastes, requests and cravings. .......... and we talk of other things on our blog. The Diamond Valley Arts Council presents the second Jazz Night at the Esplanade Arts Center at 6pm on January 16, 2011. The evening, set in an intimate cabaret style and surrounded by the art and photography of Rob Stephens, will include cheese, fruit and wine. Tickets - $20 in advance or $25 at the door. The San Jacinto Chamber of Commerce monthly mixer will be hosted by Valley Medical Center on January 12, 2011 from 5:30pm to 7pm. This social event for business persons offers an opportunity to build business contacts and network with other business people in the community. The medical center is located at 1965 S. San Jacinto ave., Suite G, next to Regal Cinemas. HAPPY NEW YEAR EVERYBODY! ENJOY A NEW AND TASTY 2011! 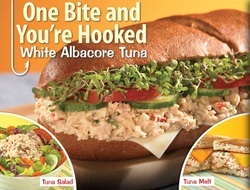 Sign up to receive information on Submarina Hemet's activites and coupons. 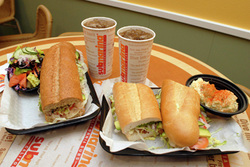 This blog is written by the great team at SUBMARINA California Subs in Hemet, California.